If there was a barometer that measured investment conditions, it would report today’s forecast as cloudy with a chance of storms. We live in tumultuous times, when political maneuvers domestically create confusion over the direction of the American economy, while geo-political maneuvers create all sorts of potential conflict related to tariffs, treaties, nuclear concerns and the general cohesiveness of the global environment. All of the tumult should raise questions from investors about whether this is a good time to be making risky investments. While all investors initially consider their tolerance for risk related to their investable assets, tolerance for risk is not an ingredient of investing which changes dramatically over time. But perhaps it should. When no one is certain which way the wind is going to blow, it seems like it might be an appropriate time to discuss whether the patio umbrellas need to come down and the shutters need to be placed upon the windows. Apparently, there are not currently a lot of conversations taking place regarding risk tolerance, and perhaps there should be. As part of its monthly survey of investors with a net worth of at least $100,000, Spectrem recently asked investors whether they have discussed their level of risk tolerance with their primary advisor since the start of 2018. In that time, the word “tariffs’’ has become a constant part of the investment lexicon, and negotiations with major trade partners have produced no lasting results. Considering the negotiations involve three of the key trading partners of the United States – China, Canada and the European Union – investing is a riskier business today, and investors should be thinking about the role they want to play. While all those factors rattle the investment gameboard, investors continue to place their investable assets into products and companies they believe will provide a return on investment. Most investing involves speculation, and the greater the speculation, the greater the risk. While the stock market continues to sit at an elevated level compared to its post-recession mark, it is an uncertain measure of performance, which is why investors and advisors alike watch the stock market endlessly to see how it will react to the controversial news of the day. 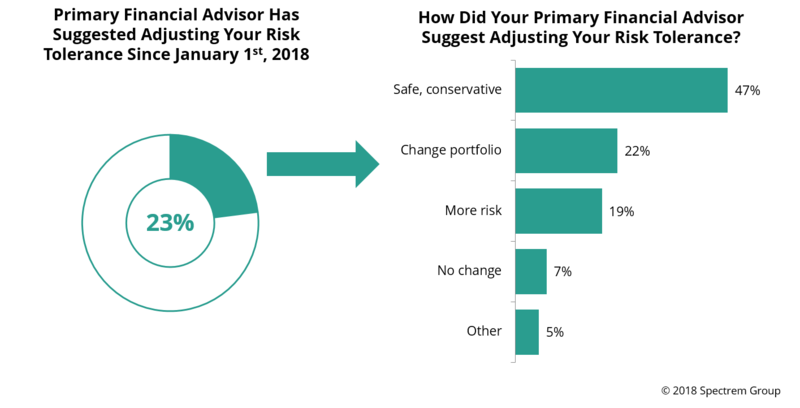 According to our survey of affluent investors, only 23 percent have discussed their risk tolerance with their advisor this year. Thirty percent of investors who self-define as being aggressive or most aggressive say they have discussed a change in risk levels in the past six months, but that is still not a high percentage. Advisors regularly find themselves having difficult discussions with investors, because money is such a touchy subject. Preparation for retirement and estate matters can be difficult topics to raise, depending on the investor’s attitude towards those subjects. But risk tolerance should not be a topic to avoid. Instead, it should be top of mind, especially when conditions seem to include more risk than usual. Advisors should do more than just suggest companies to invest in or products that will produce desired income results. In times of rapid fluctuation, advisors are most valuable when they bring up matters which might slip the mind of investors, such as their overall tolerance for risk related to their current portfolio. 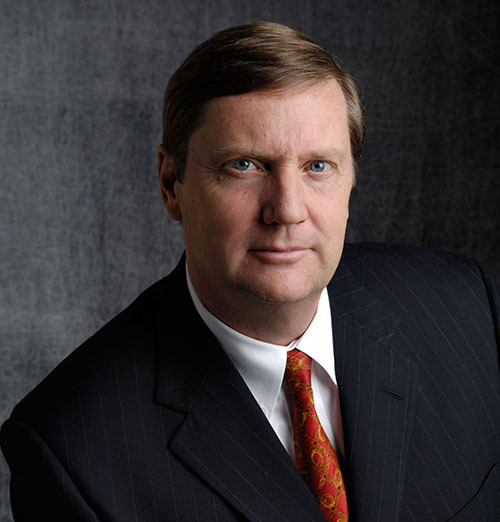 Investors with a low level of tolerance for risk already are not necessarily the target for such a conversation, but investors who like to take chances with an eye toward a higher rate of return might appreciate a review of their decisions to reflect the wisest course of action until the global economy is more settled.